Updates to Dante M's profile since your last visit are highlighted in yellow. ADDENDUM 2015: I just downloaded my video of Eva Krause, and she is a survivor of a Nazi Death camp; it is a compelling project that will touch your heart. I moved to California in 1978 to escape the harsh weather, as I love sunshine, auto racing, and the ocean. I lived in Riverside, Ca near Riverside International Raceway and March AFB. I joined the SCCA, and worked on the emergency crew at all the Pro-races in Southern CA. Long Beach F1, CART, NASCAR, Indy Car, Trans-am, IROC, and sports cars. My son Michael staid with me in Ca, while my late wife Judy (Moscardini) (1948-2001) and my daughter Julie Lynn (Puccetti) Parillo moved back to Schenectady. I graduated from the university with a BA in psychology (studied gerontology/life span developmental masters program), and worked at the VAMC in Loma Linda, CA. as a therapist/researcher-stats/ and data manager for the Alcohol Treatment Unit. While working for my MA and was the third author on a scientific journal; National Counsel of Alcoholism as a therapist and lead TV camera-person on their live talk show. I did video freelance work for Cencom and Charter Communication In Riverside, Ca. In 1993 I started my own TV production company (WHAT? Multimedia) and Puccetti Productions, but when I moved to Carlsbad, CA everyone is Photog. I worked for Princess Model Management (in Hollywood) as Video Director with Bobby Brown; he directed music videos for Snoop Dog, Puff Daddy, Kuema' and other Rap stars. Models are paid plenty, BUT they earn their bucks. They get cold, wet, windblown, and must stay very still in one pose... but still look great! The 'Golden Hour' is a myth especially after the set up of the equipment. The dawn comes way too early. I evolved into TV and cable, and directed satellite and cable programs including working with Vet Centers and POW/MIA (I am an army 100% DAV- WIA in the Central Highlands in 1969). I am a partner in Frankly Speaking TV, inc., featuring docudramas, talk-interview programming, commercials, videos, NASCAR school at the California Speedway, Cosgrove/Muir¿s Unsolved Mysteries (The Marine Who Would Not Die, ER Mystery Fumes) on NBC, Montel Williams, and red carpet events interviewing many Hollywood stars back in the day. I taught Film and Video production for the San Diego Unified School District. Crewed, directed, and/or acted on movies and documentaries. I shot for a week at night in the Calico Ghost Town silver mine, and that was an adventure in dust, cold, and weirdness! I collect classic still and TV cameras, Curios & Relics military weapons, and suntans! I love to read and I am writing screenplays and short stories! I visit Schenectady, NY to see my mother (94), grandson Lorenzo (Teo) my daughter Julie Lynn and her husband Frank Parillo in Guilderland. 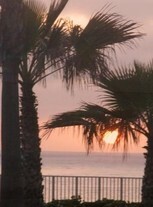 I moved to Carlsbad, CA, and I love my life near the beach while enjoying some of the best climate in the world. I've had a tragedy in my family; my son Michael James passed away on September 5th. 2007, from diabetes. Mike was only 34 years old, but he battled the disease for 20 years. Mike was interned at St. Josephs Cemetery in Schenectady, NY. "...that's all I can say about that." Forest Gump. Mom just celebrated her 95th. birthday, and she had a great party; I think she had a beer, but I'm told she kept her top on. What a weekend! The 2010 Long beach Grand Prix- in which I was on the SCCA emergency team working as a flagger. I use flags to inform drivers of the conditions of the track, and I'm the first responder to incidents in the race within my area. The World Challenge race was a hoot, and I toughly enjoyed the all the action from blue flagging that race. Another thing that buzzes me is responding to an incident; as I did during the Celebrity/Pro Race. Jammie Beckwith overshot the Turn 8 apex, and struck the exit wall with the left front corner popping out the half-shaft. Jammie slid, drove and finely crashed driver¿s right at the wall. He stayed motionless in the car with the window net in place. I am the oldest, fattest member of Blackboard, but I had to run to the incident with the fire bottle as my baby; arriving at the ex-racecar, I accessed the situation, asked the driver about his condition, and informed Beckwith to abandon the car. ¿Buddy, it ant going nowhere unless by a lift-tow.¿ A three foot diameter pool of oil was starting to form. I knew from experience the car was grounded, as a similar occurrence happened to me last Wednesday. I popped my clutch, and I heard a Bang, Bang- BANG! He climbed over the wall, and we walked back to the station together smiling at the TV cameras. Who says there are No coincidences! I'm directing a documentary at the Auto Club Speedway- the first sense without FRANKLY SPEAKING TV inc. I'll be using Sony Betacam SP. The cameras are heavy, but are broadcast standard analog equipment. The Historic Sports Car Racing series event will race cars from the 20s including formula cars, CAN/AM, Trans/AM, Le Mons 24 hour, Cobras, and NASCAR stock cars. It will be a fun and exciting project. I still haven't learned to spel. A long walk from the gym to A-wing. 11 grade with tuna-fish sandwiches from the cafeteria, and pretizle sticks in my coat pocket running around the track during cold weather. Coach Terney gave an "A" if you drew blood from others! Miss Possum calling me 'boy', as the only guy in her world history class- AP Abba released me after I told him Possum yelled at me, but marked I skipped that class. Summer school driver training with a Ford station wagon with a 390 V8 engine, and a three speed manual car. Distributing vials of hydrogen sulfide through the school. I probably was the only student who did post grad. work in high school and got a drafting job from school at ALCO. Reading, walking on the beach,auto racing (I'm on the SCCA Cal Club emergency team, and flagged F1, Indy, LaMons, NASCAR, current and vintage sports cars. One of my high-lite is putting out a flaming open wheeled car before the fire truck arrived. Produced/directed cable TV, docudramas, interview programing, video promotion, and race coverage at the Auto Club Speedway. On the board of a local non-profit agency that helps kids that want to be writers, by matching them with adult authors- KID EXPRESSIONS,inc. Dante M Puccetti US Army (ret) posted a message. 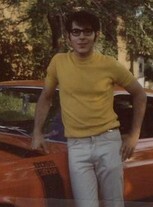 Dante M Puccetti US Army (ret) added a comment on Profile. HAPPY BIRTHDAY John. I'm a big NASCAR fan and you live in Charlotte the hub of the sport. I moved to Riverside, CA and was on the Emergency Crew for two NASCAR races at RIR. I also worked IndyCar, international F1GP, Trans/Am, IMSA, and many other forms of racing. Dante M Puccetti US Army (ret) posted a message. New comment added. HAPPY BIRTHDAY Lois...remember Principal Goush and the magic show he performed every Halloween at Zoller? Dante M Puccetti US Army (ret) updated profile. View. Dante M Puccetti US Army (ret) added a photo to profile gallery.